Many homeless people or those at risk of homelessness are struggling this winter as temperatures drop below zero in parts of Sydney. For those with pets, it’s even harder as they want to keep their companion animal safe and warm, too. Wanting to make a difference, Year 5 students from Sydney’s Knox Grammar Prep School organised a blanket drive as part of the school’s annual ‘Compassion in Action’ project for Pets in the Park (PITP)—a national charity of volunteer veterinarians and veterinary nurses that provide free vet care at monthly pet health clinics and quarterly desexing clinics for those animals of people struggling with homelessness. 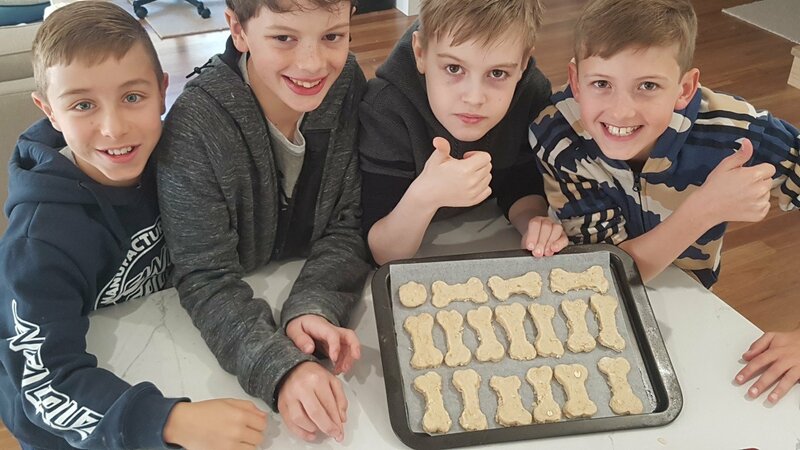 Four classmates will deliver donated blankets—along with their homemade dog treats—to PITP’s Darlinghurst clinic at the end of the month. “Blankets are so important for people and pets living on the street at this time of year,” PITP director Dr Mark Kelman said. Dr Kelman said that out of all the charities and organisations, the boys chose to help Pets in the Park because they wanted to help homeless people and their pets. “It’s so good to see young philanthropists wanting to help people less fortunate than themselves, especially in this way. This also reinforces just how important pets are to everyone, including those who are homeless and disadvantaged,” he said.